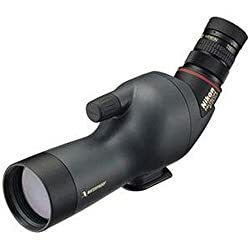 Spotting Scopes has BAK4 prism with multi-coated optics to improve light transmission, increase the contrast and resolution, brighter and more detailed images. With All-optical FMC multi-Layer broadband green film coated, High light transmittance reaches up to 99.5%. Birdwatching telescope comes with a phone mount which enables you to take videos and images in the distant world. Explore the nature of the world easily through your screen. With carrying case and tripod, its easy to carry and mount , Eyepiece and Lens Protection Covers, Cleaning Cloth and Handy Straps. 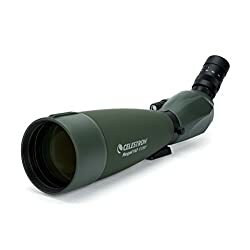 This Aomekie Spotting scope is with a range of magnifications from 20X to 60X, meeting your different needs. Along with tripod and carring bag, is perfect for birders, hunters, naturalist and travelers. Dynamic lens ensures you reveal images in optimum contrast and with sharp resolution. 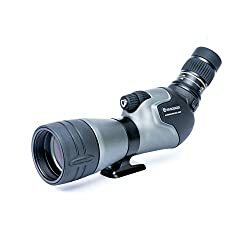 Convenient and comfort on the go, this spotting scope is designed to provide you with great performance under a variety of viewing situations. -20mm diameter eyepieces, more comfortable. -60mm objective lens to make sure the light-gathering power and resolution. 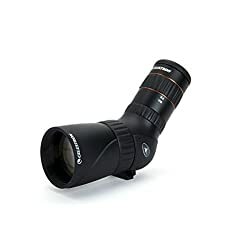 -“Zoom” eyepiece to give a range of magnifications from 20X to 60X. -Green film coated optical lens to achive a clearer and brighter view. -Easy focus keep watch over. -Sufficient extension over the lens to prevent fog and misting. -The tripod attachment is also a standard screw thread so can be utilized with any other tripods you’ll have. target shooting, astronomy and terrestrial photography, viewing countryside landscapes, also as a great Christmas present. Spotting Scopes has BAK4 prism with multi-coated optics to strengthen light transmission, increase the contrast and resolution, brighter and more detailed images. With All-optical FMC multi-Layer broadband green film coated, High light transmittance reaches up to 99.5%. Durable Magnalium Framework and Rubber Armor, its tight fitting protection makes it usable to resist the toughest weather conditions. The shock-absorbing rubber armor for maximum protection.When you use the phone mount, first roll the rubber in, then you’ll be able to use the phone mount to view clear images.